Three dead witches and she could be next. Three dead witches, three cryptic clues, no sign of the killers and the Salem coven is losing allies within the Council. 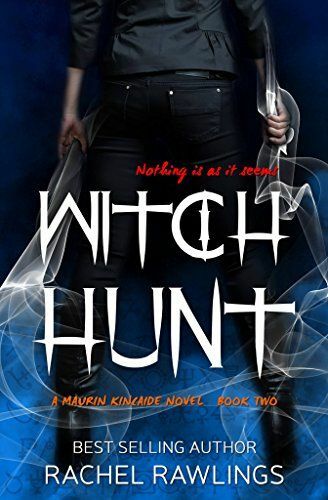 If Maurin and her unlikely partner Captain Matthison can't stop the killers, the Witch City might be without its namesake. 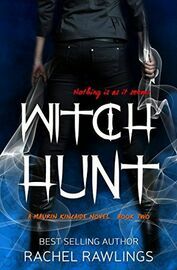 During what should have been a routine meeting with her former Captain, Maurin is brought in on a murder investigation. A murder investigation that could lead to her being the next victim. No longer a member of Salem's Preternatural Task Force Maurin is the new liaison for The Council, governing body of Others. Maurin Kincaide is back in this action packed follow up novel to The Morrigna. Bestselling psychic detective author, Rachel Rawlings presents a Paranormal romance series for adults. With over 300 reviews and ratings across all her books on Amazon, Goodreads and other retailers, this psychic detective author’s books are sure to keep you up at night!